Orthopedics - Over 50 surgical and non-surgical procedures under orthopedics treatment with the most sophisticated technologies are now available on easy EMIs. Avail EMI finance and get instant approval with minimal paperwork at Manipal Hospital. Cardiology- Get your cardiac treatments covered on easy EMIs and get hassle-free funds to cover your medical expenses. Dental Care - With fully equipped modern equipments the dental department covers procedures like fillings, scaling, root canal treatment, crowns & bridges, partial & complete dentures along with cosmetic dental procedures like bleaching (tooth whitening), laminate veneers etc. Take care of your oral health, walk into Manipal Hospital and avail finance on easy EMIs with the Bajaj Finserv EMI network. Stemcell - Stem-cell therapy is the use of stem cells to treat or prevent a disease or condition. Bone marrow transplant is the most widely used stem-cell therapy. Access range of stem cell therapies and treatments and manage the expenses on no cost EMIs with the Bajaj Finserv EMI Network. Surgical gastro- Get EMI finance for various endoscopy & colonoscopy procedures on easy EMIs with the Bajaj Finserv EMI Network. Visit Manipal Hospital and get hassle-free loan for your required treatment. Obstetrics and Gynecology- With an experienced team the department offers excellent services in the field of obstetrics and gynaecology. Avail any procedure without worrying about the expenses. Just swipe your Bajaj Finserv EMI Network Card and get quick disbursal of funds with minimal paperwork. Vascular surgery- Avail the best vascular surgical treatments with a team which offer integrated approach to treat vascular diseases. Cover your medical expenses on easy EMIs with the Bajaj Finserv EMI network. Oncology - Radiation oncology, medical oncology, surgical oncology, research centre, ultramodern laboratory and diagnostic facilities available at Manipal Hospital. Now avail the best treatments for your loved ones on easy EMIs with the Bajaj Finserv EMI Network. How can I avail lifecare services on EMI? You can simply avail a loan equivalent to the expenses of the lifecare services you wish to avail and the same will be divided in EMIs without any extra cost. It’s quick, easy and simple. All you need to do is swipe your EMI Network at our partner clinics for the services you want to avail. If you do not have an EMI Network, our in-clinic representative will take you through the process of availing a loan for it. Over 160+ treatments across 2700+ partner clinics in 40 cities across India are on EMI Network. To find out where you can avail lifecare services in your city, visit the clinic locator section on this page. Down payment amount depends on the service you are planning to avail. Lifecare services involve a nominal down payment. The amount also depends on our partner clinic/hospital where you will be transacting. Do I get any discounts/offers on availing finance with the EMI Network? Yes, you will be eligible for various offers at our partner clinics from time to time. 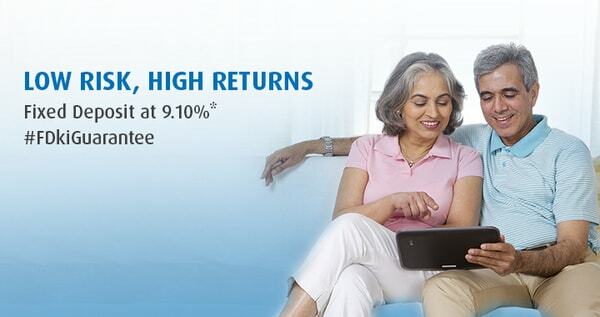 You can view these offers on our website, Bajaj Finserv wallet or check in the store. What documents do I need to submit to avail this loan? Please check the Documents section on this page. How do I get loan related documents such as NOC, Statement of Accounts and any other related documents? Simply call our customer care number 020 – 3957 5152 (call charges applicable). Alternatively, you can log onto your account on the Customer Portal and download the necessary documents. Lifecare services can be availed on easy EMIs. Your purchase amount is divided into monthly installments at no additional cost.